Building muscle is about learning how to train your body in the most optimal way possible. In the gym, these are by far the biggest muscle building misconceptions I have encountered and continue to encounter not only from newcomers but also from intermediate lifters as well. A solid workout should last between 45 minutes and an hour. If a normal workout for you greatly exceeds this time frame, you need to step back and take a look at how you’re spending your time in the gym – more often than not, those individuals that brag about spending hours at the gym spend half of their time gossiping and catching up with fellow gym-goers and therefore have rest periods that are simply too long between their sets. A shorter, more intense workout is not only more efficient time wise, but will also net you better results. The key is to exhaust the muscle via hypertrophy, so allowing a long amount of time for your muscles to recover between sets is counterproductive (unless you are specifically training for strength). When lifting, most beginners tend to pick up the heaviest weight they can possibly lift and struggle to pump out several bad repetitions expecting to see results. It is imperative that good form (technique) comes before weight; you should be selecting the heaviest weight that you can lift with correct form for the prescribed number of repetitions. Trying to use weights that are too heavy with bad form is a recipe for disaster – you are at a high risk of injuring yourself, which will ensure that you are out of the gym for an extended period of time. On top of that risk, if the weight is too heavy for your muscles you will end up using momentum to help – swinging or bouncing the weight on each repetition. When you begin to ‘cheat’ on repetitions by swinging or bouncing the weight, the tension is taken completely off the muscle, therefore, the muscle isn’t stimulated. No stimulation equals no growth. The myth is still going around that high repetitions are associated with getting shredded and lower repetitions are associated with building overall size. This isn’t true – your workout regimen and repetition ranges do not have to change based on whether you are going through a cutting or bulking phase; getting shredded is entirely based upon your diet – more specifically, your daily caloric intake. In order to get shredded, you need to burn more calories than you are consuming. If you are eating too much, it doesn’t matter how high of a repetition range you follow, you will not get shredded. Fat cannot be spot reduced. Everybody has a set of abdominal muscles – whether they are defined or not comes entirely down to your body fat level. The abdominal region will begin to become visible for males at around the 10% body fat mark. In order to have a completely ripped abdominal region with oblique and serratus definition you will need to have a single digit body fat reading. Training your abdominals will increase your overall core strength and will deepen the cuts between your abdominal muscles, BUT you will not get abs by doing sit ups or any other ab exercise – this is completely body fat related. Many beginners think a chest press is a chest press regardless of how or what equipment is used to perform it. There is a huge difference between performing an exercise on a machine as opposed to free weights. Machines do have their time and place for isolation. However, free weights will enable you to recruit a far greater number of muscle fibers and will also utilize secondary muscle groups as well as your core to stabilize the weight. The smallest adjustments, such as grip placement on an exercise, can target different muscles. For example, a row with an overhand grip will emphasize the upper lats, while the same row performed with an underhand grip will place a larger emphasis on the biceps and lower lats. First of all, what is the “pump?” The pump is the tight feeling caused by blood rushing to the targeted muscle in the body part you are training after performing multiple sets. The pump alone does not indicate that you are making progress or that your muscles are growing – a high repetition set of pushups can be used to obtain a pump, meanwhile dumbbell bench pressing 130 lb dumbbells for 5 reps may not give you a pump even though this lift and weight is far more beneficial towards growth. Cardio is a fantastic tool for burning additional calories; however, cardio itself will not simply melt the fat off your physique like you’ve been led to believe. I personally very rarely perform cardio as I am able to manipulate my weight entirely through diet. Weight loss comes down to caloric intake; as long as you burn more calories than you are consuming, you will lose weight. Should you decide you’d like to add a few more calories to your diet, or if you go out and have a cheat meal, then cardio can be used to burn the additional calories you have consumed (resulting in fat loss). The hyperextension at the top of a repetition (often referred to as locking out – the straightening of your arms at the top of a bench press repetition is an example) can be quite counterproductive to your overall progress. Locking out is a strict requirement of powerlifting (as it demonstrates completion of the repetition). However, in bodybuilding, as you lock out with each repetition, you are taking the tension off the targeted muscle, essentially allowing it to rest while your joints and tendons hold the weight. By stopping your repetition prior to the lockout, you will maintain the stress on the targeted muscle. It is simply impossible for muscle to turn into fat and vice versa as they are both made up of very different types of cells. If you have a prolonged absence from the gym, you need not worry about your muscle turning into fat. Instead, your muscle cells will shrink – many people begin to gain weight shortly after as their body no longer requires such a large number of calories to maintain. Lean muscle mass is quite hard for the body to maintain, therefore, it requires a large number of calories. With a decrease in muscle mass, calories should also be decreased as the caloric demand is no longer as high as it previously was. If calories are not lowered, you will begin to slowly gain fat, and that is where the confusion lies. 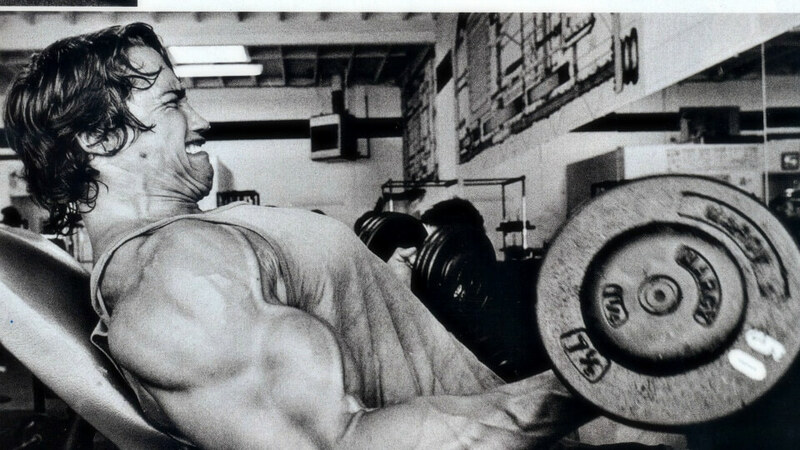 Your muscles are just that: muscle. They do not have any form of cognitive intelligence and therefore you do not need to try to ‘out smart’ to get them to grow. If you have hit a plateau and are no longer making sufficient progress, the issue lies within your rest time between sets, an insufficient amount of calories being consumed or an insufficient amount of recovery time (sleep). So long as you continue to progressively overload your muscles with additional repetitions and/or weight, they will continue to grow. Changing up your routine every other week with different exercises, rep ranges and equipment is unnecessary and will simply make your progress and workouts harder to track. How many times have you heard of people eliminating carbohydrates after 4PM as they believe they’ll put on weight if they eat them late in the day? Calorie (including carbohydrate) timing has been proven irrelevant to body composition. What this means is that you could consume all your carbohydrates for the day right before you retire for the evening and you would see the same results as an individual that spaces their carbohydrates out over the course of the day in five smaller meals. Carbohydrates should be tailored around your workout regimen. If you train at night, you should be consuming carbohydrates an hour or so before you work out in order to perform at an optimal level. If you consumed all your carbohydrates early in the day, you may be left feeling tired and lethargic while training. Dietary fat is essential to our bodies. Fats are linked to testosterone production and brain function as well. In fact, individuals that consume a larger amount of fat are less likely to develop depression. Fats are also known to regulate hormone levels as well as blood glucose and insulin responses. If you are struggling to gain weight, fats can play a major role in your diet as a gram of fat is comprised of nine calories (as opposed to the standard four calories found in both protein and carbohydrates). Fat can be used effectively to increase your overall caloric intake with ease. Instead of adding two cups of broccoli to your diet, throw in a tablespoon of organic peanut butter instead! How many people have you heard say more protein powder equals more muscle? Consuming any more than 1 – 1.5 grams of protein per pound of lean muscle mass, regardless of whether it comes from protein powder or chicken breast, is a waste (note: do not confuse gross weight with lean mass, which is your total bodyweight minus your body fat percentage). Excess amounts of protein are converted into amino acids and nitrogen which are then excreted from the body. Guest article by SJ from Ignore Limits. SJ is a published author, entrepreneur and fitness enthusiast. Over the last 5 years he has transformed himself from a mere 135 lb to a lean 200 lb. If you enjoyed this post about building muscle, be sure to check out SJ’s NO BS eBook, BEASTMODE – designed to help build lean muscle mass and shred fat without any bland, boring diets, expensive supplements or mind-numbing cardio. Great info!! Thanks!Worth the read. Hi thanks for the great post, I learn something from it.